Baron Fig Wander Dream Journal. Baron Fig sent me their new Wander Dream Journal to review here on the blog. All thoughts shared on this product are entirely my own. The Wander Dream Journal is a brand new product to Baron Fig. As the name suggests its a dream journal with a specific page layout designed to encourage you to catch various aspects of your dreams. 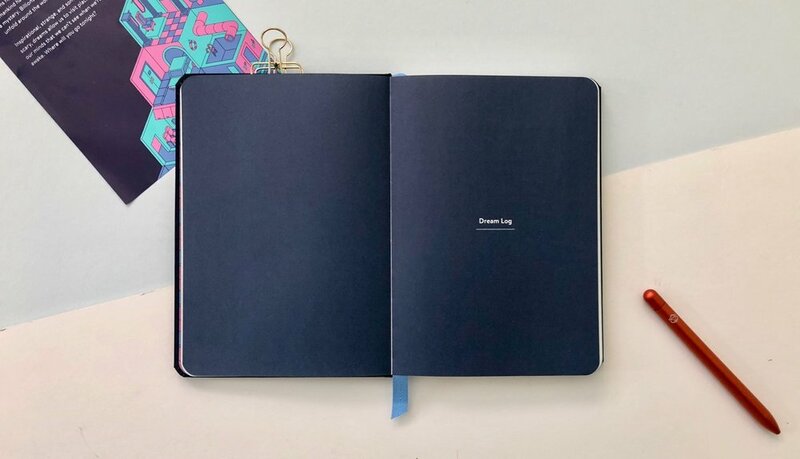 The thought that has gone into this journal is really nice and the style of this dream journal is different to anything we’ve seen from Baron Fig before. The Wander Dream Journal looks like a Confidant. Its the same size as their Flagship product but this journal has a few interesting tweaks. The most obvious is the inclusion of an elastic closure, which I was a little surprised to see. The Wander Dream Journal seems a strange choice of debut for the elastic closure and I am not sure it really needs it. In most instances this journal will sit on your bedside table or where you rest your head. It is used for a specific purpose and therefore perhaps unlikely to contain bits of paper, but more often purely written notes. These are of course, all assumptions I am making and perhaps other people would find different ways to use this journal, but in relation to the elastic closure I think this may be welcome on other Confidants and perhaps no so important on the Wander Dream Journal. As this is the first time Baron Fig have included an elastic closure I was interested to see how well integrated it was. The good news is you can’t notice the fixing of the elastic on the reverse inside cover. The only thing I did notice is that the elastic does leave an imprint on the front of the Confidant as its material, but this is relatively small and due to the dark cover not overly noticeable. 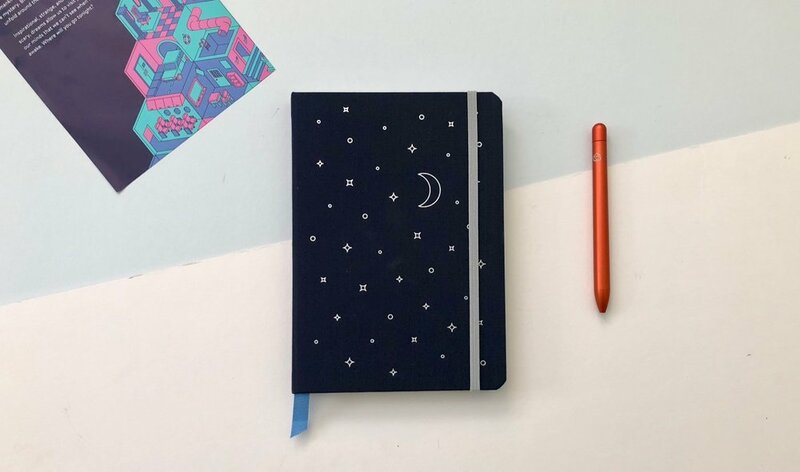 Back to the specific design of the Wander Dream Journal, the cover is a midnight blue with embossed silver stars and moon. The cover design is simple but works well with the intended use of the journal giving it a sleepy, dreamlike feel. There is a light blue bookmark with this journal which seems quite a bit longer than other bookmarks from Baron Figs Confidants! Lets hope this change trickles down to all Baron Fig Confidant notebooks. The page design is what really sets this journal apart from anything else Baron Fig have done. Each double page spread is dedicated to a dream and its through the prompts on the page that you can unwind, decipher or simply record. At the front of the journal is a double page explanatory page telling you how to use the notebook. All of the elements within this spread are explained clearly. Each double page has a page bar which sit on the outside edge of each page and guide you through tracking your dreams. There is space to track how the dream made you feel, the quality of your sleep, the period of time the dream took place, whether it was in colour or monotone, your viewpoint and finally there is a categorisation section where you can record if its recurring dream, a nightmare, fantasy etc. Having the page bars on the outside edge of each page makes it easy to find these common themes, or to search for something later on. Not only is the page bar an interesting and well-thought through guided experience, it’s also cleverly been considered from a use perspective. This information could have been shown in so many other formats, but positioning this where they have works so well and keeps this information relevant in the longer term. I found the categories of the page bar also made me consider things I wouldn’t have thought about before. The colour versus monotone indicator is not a factor I would have thought about in relation to my dreams. To record these small nuggets of information and be prompted to think about them is useful. It’s simple but it captures relevant information. The rest of your double page spread is to record all the important information of your dream. The date and day it occurred has its own section at the top of the page. There is room for the details, the weird and wonderful aspects of everyones dreams. The left hand page is dedicated to what you remember from your dream and called Recall. Again a great header as its rare to remember all the details or for them to make sense. The header alone suggests that some of the information here may be illogical, nonsense even…the idea is to simply write it down. Then there is the Visualize section. From the few dreams I have recorded (and remembered) there hasn’t been a whole lot of imagery that I can remember or that made sense to draw, but again this can sometimes be one of the only ways to remember a dream. Having blank space dedicated to this is a nice prompt. Finally there is space for you to Interpret your dream. From my silly, but real example the interpretation of the dream is clear. Other dreams are harder to interpret but this is an important part of the journal purely because most people always wonder what their dreams meant. Each section within the page has a different grid pattern dedicated to the section you’re completing. The Recall section has lines giving you the space to write. The Visualize section is blank giving you space to draw and the Recall section has dotted ruled lines. This isn’t the first time Baron Fig have a mixed up their grid rulings, (Show & Tell) but it really works nicely for the Wander Dream Journal. This isn’t a journal for everyone and its not a journal you may use everyday but its really interesting. I have mine by my bed and when I wake up and I can recall a dreams I record it in the journal using the prompts to guide me. Spending the time to think about dreams can be deeply personal, strange and a little revealing perhaps but I imagine this could be a journal that over time becomes a valued notebook. It’s great that the Wander Dream Journal is part of Baron Figs standard offering and not just a limited edition. 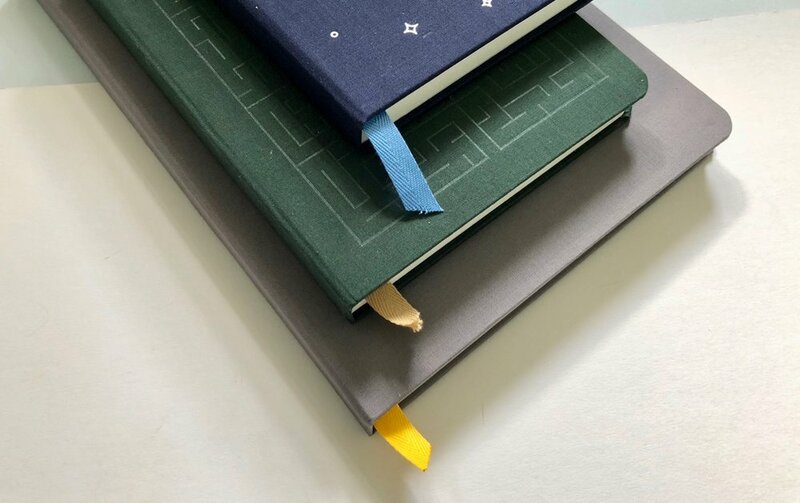 This journal shows that Baron Fig can take a simple idea, or note taking routine, and guide users to improve upon a habit. I would love to see them take the Wander Dream Journal idea and apply this to other areas. Story planning - the layout could be used to plan out scenes or ideas from a story and the prompts could be adapted to work in this manner. Mood tracker - again some of the side bar items can work to track your mood. Recalling, interpreting and in some instances visualising your moods could be part of a self-improvement idea that could be tracked over time. Memory log - you could use these pages to write down memories. The side bar could be adapted to work alongside this idea and you could include snippets, photos or cut outs in the Visualize area.